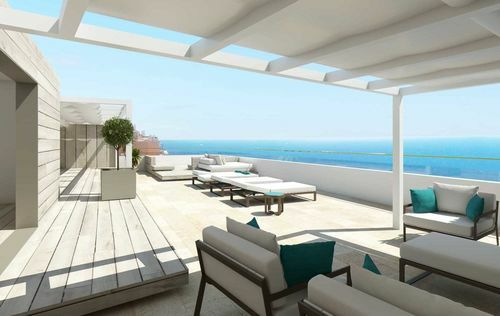 This luxurious penthouse is a renovation project and is situated in a top location in Illetas, just about two kilometers from Palma and offers a breathtaking view towards the sea. 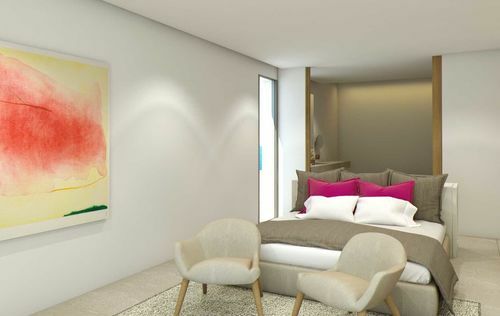 The apartment has a constructed area of approx. 351m2, covered terraces of approx. 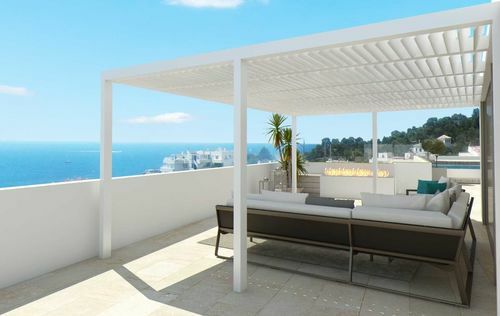 81m2, open terraces of about 86m2 and a stunning roof top terrace of approx. 281m2. 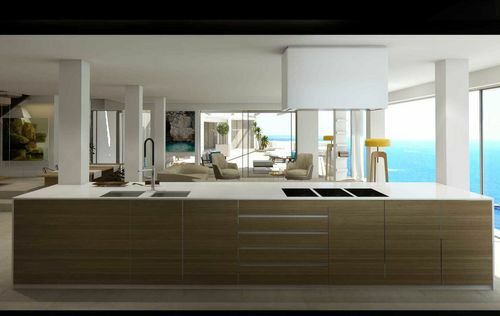 The apartment was designed by an open concept offering a light-flooded living/dining area and a fully equipped luxury kitchen with Siemens appliances. 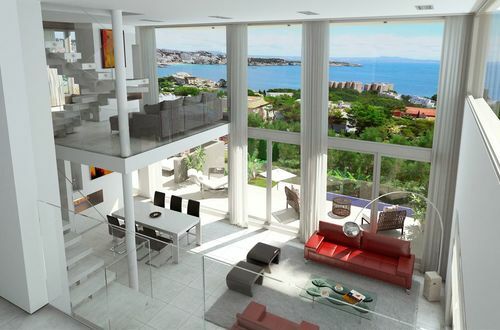 The living area offers with its floor to ceiling windows a phenomenal view, regardless from where you look! 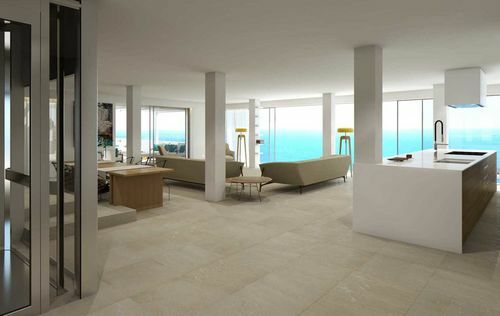 In addition, the penthouse is equipped with four bedrooms and five bathrooms. 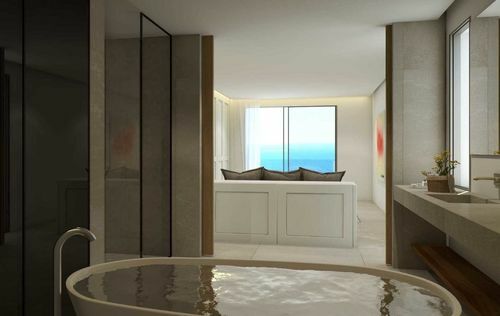 The special extras include Majorcan marble floors as well as carefully selected materials to create an elegant and timeless atmosphere, sound isolation in the ceiling, air condition, underfloor heating in the bathrooms and an approx. 38m2 large garage including storeroom. 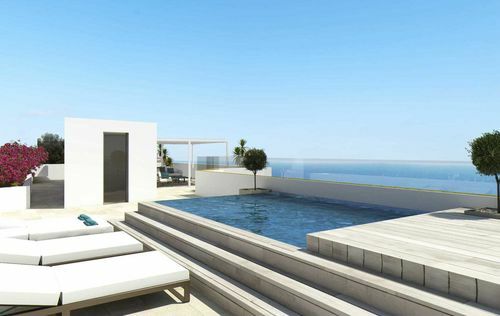 There is a possibility to acquire one or two further bedrooms and a further roof terrace with private pool.